While there are many commercial anti-aging products available, most of these formulas are expensive and contain potentially harmful chemicals which actually damage your skin in the long-term. Instead of pouring money into these pre-made “beauty products” why not create your own using all natural anti-aging oils? We’ll start off by listing the best carrier oils and their associated health benefits. Then we’ll tell you which essential oils are the best for healing and restoring skin’s youthful appearance. 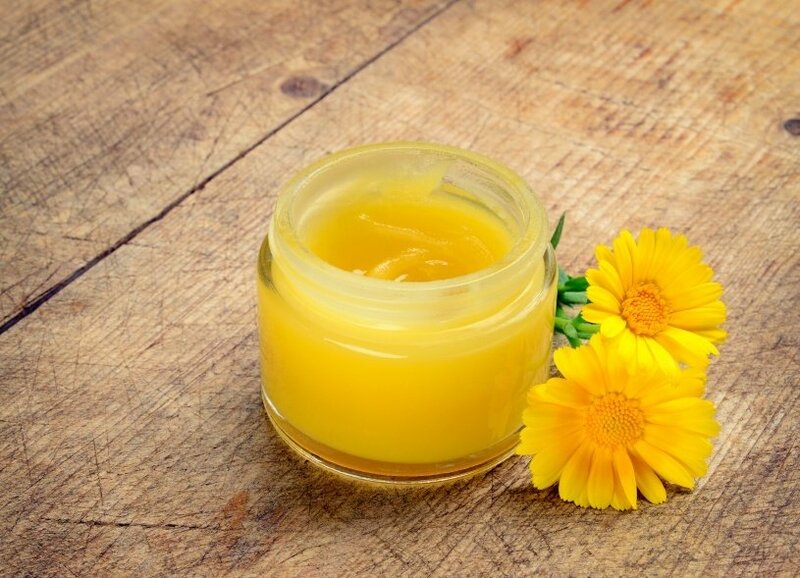 Finally, we’ve found a couple of great recipes to get you started on making your very own DIY anti-aging, skin-healing serum! Apricot Kernel oil is one of the best carrier oils for creating skin-healing oil blends. Rich in omega-6 gamma-linolenic acid, Apricot Kernel oil helps to hydrate and nourish skin while vitamins A and E contained in the oil encourage regeneration of skin cells and collagen production to help reduce fine lines and wrinkles. Apricot Kernel oil absorbs into skin relatively quickly and is considered non-greasy, so it can be used on virtually any skin type. However, this oil is especially helpful for hydrating and healing very dry skin. Sweet Almond oil contains large amounts of vitamins E and K – meaning that this oil not only helps skin to regenerate and maintain elasticity, it also promotes better circulation. Additionally, Sweet Almond oil is a natural UV blocker, making it ideal for people who spend a lot of time in the sun. Sweet Almond oil offers the added benefit of being odorless, making it a great choice for those who either don’t enjoy the smell of botanical oils or whose employers do not allow the wearing of scented botanical oils in the workplace. This carrier oil is only lightly oily (about the same consistency of olive oil) and absorbs relatively quickly. Organic Virgin Coconut Oil is full of anti-oxidant vitamin E, making it an excellent carrier oil for skin-healing anti-aging serums. Coconut oil is also comprised mainly of medium-chain triglyceride lauric acid, known to be one of the healthiest oils for your skin and body. While Avocado oil is a very thick oil – probably too thick for most people to use on sensitive areas like the face – it is one of the healthiest carrier oils for skin. Avocado oil is rich with vitamins A and E, as well as collagen-boosting plant sterolins. Because avocado oil is so thick, I recommend only using serums with this carrier at night or when you’re planning to stay home for the day. Also, try using avocado oil in combination with another carrier if you find that your anti-aging serum is too sticky. Argan oil is comprised of roughly 80% fatty acids which work wonders to hydrate skin, restore elasticity, and fade fine lines and wrinkles making this another excellent carrier oil for anti-aging serums. Read more about the 11 Miracle Benefits of Argan Oil in this article! Rosehip Seed oil may be used as either a carrier oil or an auxiliary ingredient, depending on the recipe. This incredible oil is most well-known for its high concentration (the highest of any pure botanical oil) of natural vitamin A – all-trans retinoic acid (or ATRA as it is often abbreviated.) ATRA is known for its potent ability to reduce the depth of wrinkles, fade fine lines, lighten age spots, and promote over-all healing of damaged skin by boosting the growth rate of new cells and increasing collagen production deep under the skin’s surface. Rose hip seed oil is also rich in skin nourishing essential fatty acids including omega-6 linoleic acid and omega-3 linolenic acid which help to improve the elasticity, texture, and appearance of skin. Also, because Rosehip Seed oil is lighter in weight than many other botanical oils used for skin care, it is ideal for people who want flawless skin without the feeling and appearance of an oily complexion. Carrot Seed oil is full of antioxident carotenoids which boost the body’s immune response to UV rays, helping to prevent sun damage. Carotenoids also stimulate the rejuvenation of skin cells, aid in the detoxification process, and can help to heal chronic skin conditions like eczema and psoriasis. Geranium oil is an effective anti-inflammatory. It also helps to lighten age spots and even out overall skin tone. Geranium oil also improves circulation under the skin’s surface which aids in cell regeneration, making it useful for fading scars, wrinkles, and other visible imperfections in the skin. Another vitamin-rich essential oil that is excellent for reversing the signs of aging, Sea Buckthorn Berry oil can help to moisturize dry skin, treat acne, and reduce the visibility of other skin conditions like hyperpigmentation and eczema. Read more about the wonderful benefits of Sea Buckthorn Berry Oil here. Pomegranate Seed oil contains very high concentrations of antioxidants which help to prevent free radical damage and slow the aging process. Punicic and ellagic acids contained in this essential oil help to nourish skin, enhance elasticity, and promote cell regeneration. Pomegranate Seed oil also protects and heals dry, irritated, burned, or damaged skin such as that affected by eczema or psoriasis. Neroli oil is a powerful antibacterial, anti-inflammatory, and antiseptic that is also great for soothing damaged or irritated skin, healing scars, improving circulation, reducing lines and wrinkles, as well as for fading stretch marks. Cypress oil helps to improve circulation, strengthen skin, and reduce the appearance of varicose veins and broken capillaries under the skin’s surface. Use Frankincense oil to help regenerate skin cells, reducing the appearance of scars, fine lines, and wrinkles. Frankincense is also great for tightening up sagging skin, evening tone, and balancing skin’s pH. Read more about this wonderful essential oil here. Lemon oil can help to lighten dark spots, as well as preventing and reducing the appearance of lines and wrinkles, plus so much more. Sandalwood oil can help to soothe damaged or irritated skin while at the same time fading scars, lines, and wrinkles to smooth the skin’s surface. Read more about it here. Use Myrrh oil to help boost skin strength, for a smooth and healthy younger-looking complexion. Rosemary oil helps to tighten skin, reducing the appearance of fine lines and wrinkles. It also acts as a natural preservative for any other oils which may be blended with it. Discover more about the magic of this essential oil here. Now that you have the information you need on which oils are best for reversing the signs of aging and achieving beautiful skin, take a look at the following recipe combinations. Use this anti-aging oil blend in the morning and at night to firm skin and even tone. Use this anti-aging serum at night after your usual face cleansing routine. For a wonderful anti-aging combination that is easy to make and doesn’t call for a long list of essential oils, try this mixture of Apricot Kernel, Rosehip Seed, and Carrot Seed oils. – When mixing oils, try pouring about half of your carrier oil(s) into the storage container followed by the listed amounts of essential oils. Then finish by topping off your storage container with the remaining carrier oil(s). This way you’re sure to always have room for all of the essential oils called for by each recipe. – When pouring oils into storage containers, remember to leave a little space in the top of the bottle. This will allow the oils to breathe. 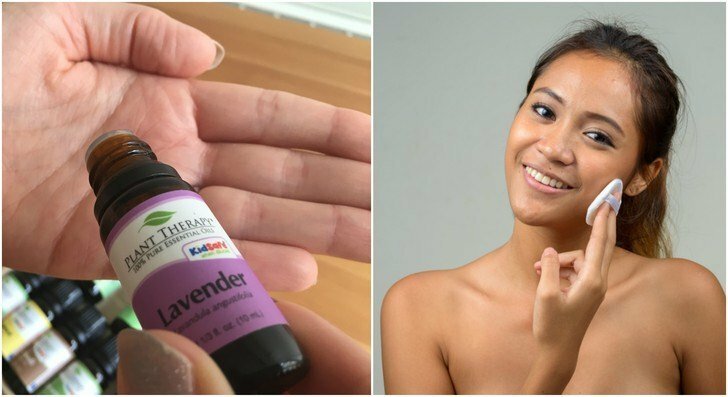 – When using essential oils for skin care, remember that a little bit goes a long way. Just a few drops of each of these blends, for example, would be enough to moisturize your entire face. – Please note that not all essential oils are safe for use by women who are pregnant or nursing. Some oils contain organic compounds which are safe for use by adults in small amounts, but that may harm infants and small children. If you are pregnant or nursing, it is always recommended to consult with a medical professional before using essential oils or any other natural remedies. – Finally, always remember to perform an allergy test before applying any essential oils or carrier oils to large areas of the body. Simply apply a drop or two to the back of the hand and wait several hours (not all reactions occur immediately) to check for any adverse effects. Want more DIY beauty recipes? Download a copy of The Everyday Roots book – It includes over 215 recipes for making your own beauty products, as well as natural cleaners and home remedies so you can live a more natural, organic and toxin free life. Click here to download now.